Gazprom CEO Aleksey Miller has announced Ukraine will no longer receive the $100 discount it enjoyed under the Kharkov Agreement, and will pay $485 per thousand cubic meters starting from April. The statement came after Miller met with the head of Ukraine’s state gas company Naftogaz, Andrey Kobolev in Moscow. Naftogaz is responsible for the majority of Ukraine’s unpaid gas bills. The price rise follows a cancellation of the Black Sea hosting deal. On Wednesday President Vladimir Putin signed a Federal law ending Russia’s commitment to the Kharkov Agreement, as the Black Sea port of Sevastopol is now under jurisdiction of the Russian Federation. 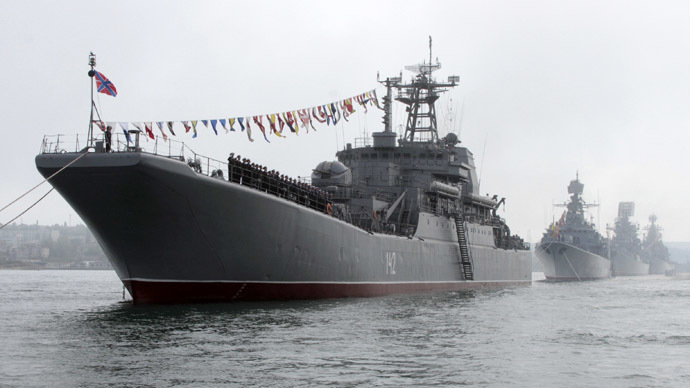 Under the April 30 2010 Kharkov Agreement, Russia guaranteed Ukraine a $100 gas discount in return for using the Sevastopol port to host its naval fleet. 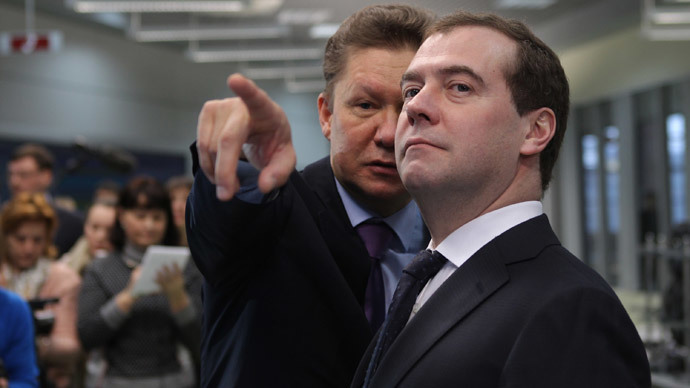 The decision to end duty-free gas exports to Ukraine is supported by Russia's Prime Minister Dmitry Medvedev, who said Gazprom's should apply general tariffs on exported gas for everybody. 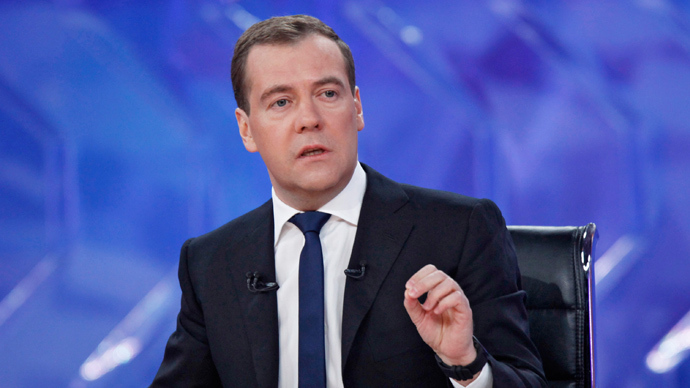 “You should be guided by the commonly set export duty rates for gas without applying any discounts and preferences,” Medvedev told Gazprom head. 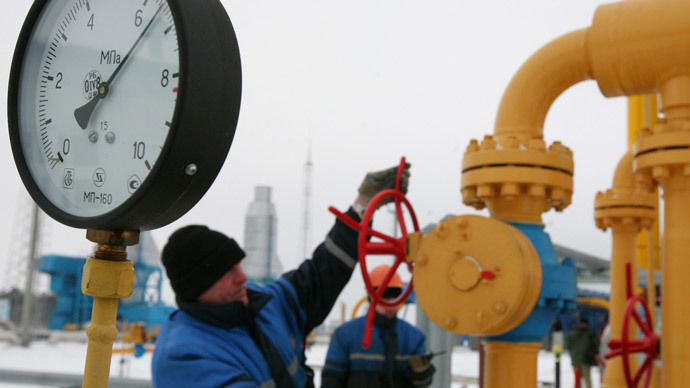 Half of natural gas imported by Ukraine comes from Russia. The country owes $2.2 billion for gas that has been delivered in 2013 and 2014, according to Miller. “We’ll hope that in the near future Ukraine will start paying its debts and current supplies, though we see that the situation isn’t improving, but only getting worse,” Miller said. Last December, Russia offered Ukraine’s Yanukovich-led government a $15 billion loan and a 33 percent discount on natural gas; a lifeline to help its faltering economy. Moscow went through with the purchase of a $3 billion Eurobond from Kiev, though Russia later froze both the gas deal and the credit-line due to events on the ground. On April 1 the price Ukraine paid for gas went up 44 percent to $385, after Kiev failed to meet its debt repayments. On May 1, everyday Ukrainian consumers, and not just gas utilities, will start paying 50 percent more for gas, part of a planned price hike. 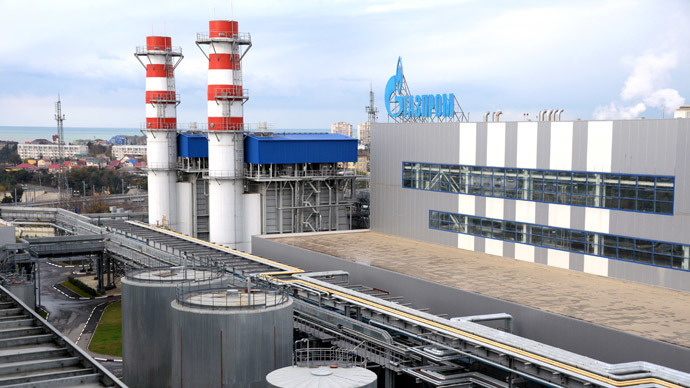 Before Naftogaz bought natural gas from Russia at a discounted price and sold to customers for even cheaper, which has led to massive debts for the state monopoly. Naftogaz, which is on the verge of bankruptcy, says it anticipates more than $7 billion in losses this year. 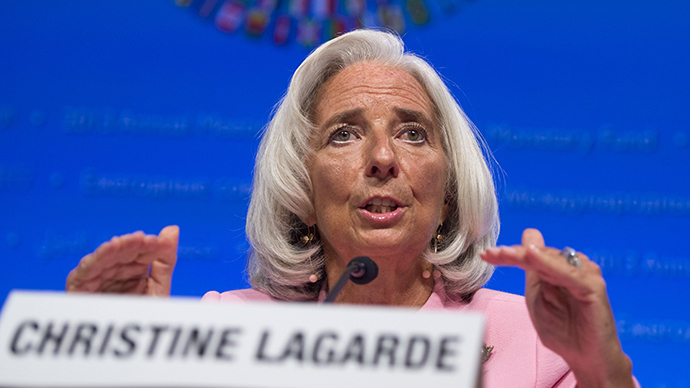 Ukrainians may be pinched further by the terms of an IMF loan, which conditions the state to jettison gas subsidies, and has customers pay more.